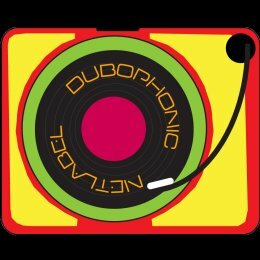 WWW, September 20 2014 - Something brewing in the Mediterranean: The Maltese Net Label Dub Key and it's Cyprus based Dubophonic counterpart joined strength with a solid and varied (DUB) Roots Reggae release as a result. Music with a message, music with a soul and general conscious vibes. Can't refuse this one. They've been anticipating this release with an excellent promo mix that could be download only a hundred times. That is, until the day of the actual album release and -not completely coincidental- the day of this review as well. Over here at the Dubroom we've anticipated with the inclusion of the very same promo mix in a podcast released yesterday and a determination to publish the first review of this more than excellent album for the online massive. You've guessed it: this is not just another musical release. In fact, where the two Mediterranean Net Labels continually work on increasing their quantity and quality, this release drops the two heavyweights together with a musical explosion as result. Remember: when the music hits, you feel no pain but you do feel the positive vibes of this collaboration. 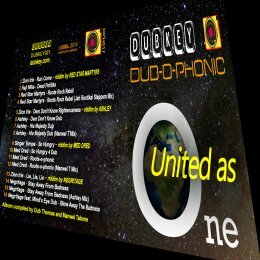 "United As One" sets an example for this time, wherein we do no longer need to "kill soundboys" but rather say "One Love", especially in the Sound System culture with which both Dub Key and Dubophonic have their connections. Both labels have singers and players of instruments, engineers and producers and they've been voicing, playing and mixing each other's work. 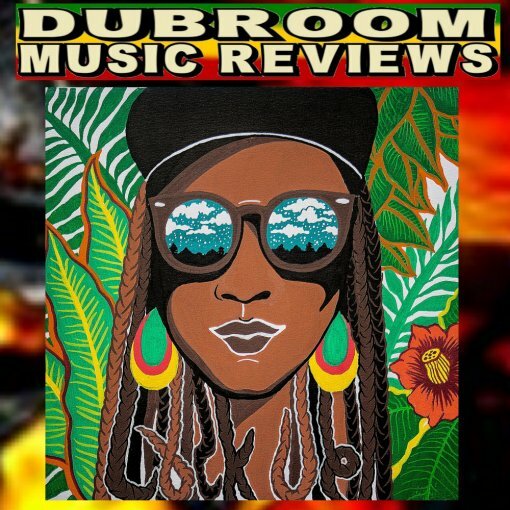 The album that came out on this September 20 2014 carries 16 mixes of four riddims. Vocals and Dubs follow each other as each riddim is presented in a truly different form. Truly sixteen different tracks, that you really want to play from the top to the very last drop. Unless you're a (online) selector in which case you will find that the track will be very fit for a different sequence in your own DJ set. This is niceness, this is a must download. The only problem you face is this: from which website are you going to download it? 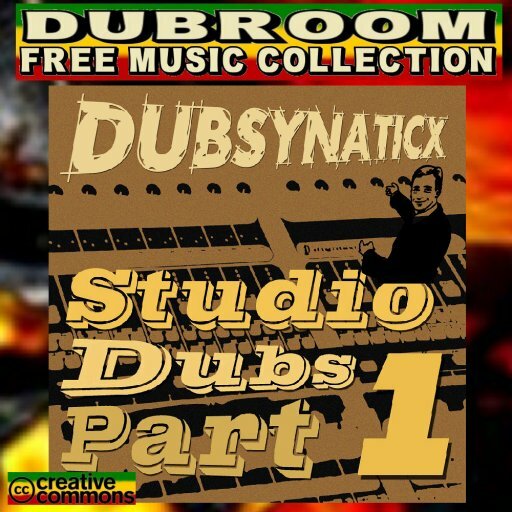 From DUB KEY or DUBOPHONIC? WWW, September 2014 - True Original Sound System Style: six titles all with two versions. Pumping steppers riddims, some played by the mighty King Earthquake (UK) and all created in Crucial Alphonso's Belgian Studio. When you like your digital, when you like your steppers, when you need your bass, just download this free release by that Maltese DUB KEY Net Label. Crucial Alphonso grew up with Reggae. His father a Reggae DJ, his own voicing at Sound Systems and ability to create his own electronic devices, it was only a matter of time before he would start releasing his own production. As said, as done. 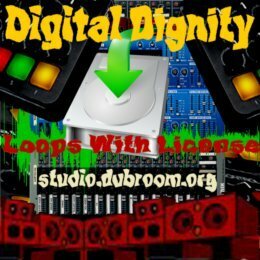 Twelve outstanding pieces of digital niceness that yuou can play soft but preferable loud with a lot of bass. WWW, September 2014 - French (DUB) Reggae band OnDubGround with five tracks featuring Jamaican singer Jahko Lion. 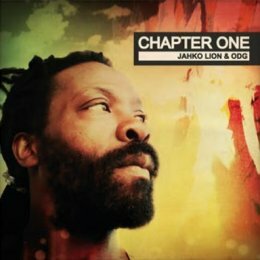 Both showing their versatility as Jahko rides laid-back, Ire riddims and heavy steppers with the same ease as they are played into the multitrack recorder. In the abundance of water, the fool is thirsty. Someone said it sometime and it could very well be said about anyone looking for conscious (DUB) Reggae and not knowing about the enormous wealth of music from the online Net Labels. Thanks to the Internet, the world wide Roots Massive connects and produces collaborations that were only available for the industrial and commercial boys and girls. WWW, September 2014 - It comes with the puristic title "Strictly Analog Dub", but Dutch Net Label Dubbhism does not deliver that with this otherwise very interesting and enjoyable free Net Album. 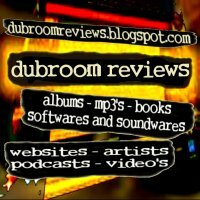 No, this is not the first negative music review in the Dubroom. Confused? Read On. You got purists -some would say fetishists- of all kinds. Reggae purists, Dub purists, Analogue purists, Digital purist, Vinyl purists, ah, well you get the idea. The kind of purism that's brought forward in this really nice album is the analogue purity. That is to say, analogue recording and effects purity. Not all tracks are Dub, not all tracks are Reggae, not all tracks are played with analogue equipment. Unless you would call a drum computer and other obviously sequenced stuff analogue. Like these folks. WWW, September 2014 - What's the difference between a Showcase and a Dub Showcase, Ariwa Style? Well, the fact that not every vocal track is followed by it's Dub (which you can easily change in your player) plus the fact that there's an extra Dub version Of "Three Meals A Day" labeled Sound System Dub. Luciano and Mad Professor In Fine Style! Of course, when Luciano sings into the multi track recorder at Ariwa studio with Mad Professor at the controls he listens to excellent music. Of course, when Ariwa prepares for Luciano they will come with a variety of musical works that will all emphasize a different side of The MessenJah. Of course a collaboration between Luciano and Ariwa brings niceness. This is a Dub Showcase, not a Showcase and not a Dub Album. This is an album about Luciano, and the Dubs are there to recall the vocal tracks while they're still fresh in your memory. While Luciano showcases his many sides, from smooth Lovers' Rock to strong Prophetic Calls and Chants to JAH, Ariwa shows they have just the right music for the right vibe. After all, Roots and Lovers Rock are two specialties of the London-based studio's. As the album plays for this review, the Dubs are all programmed to be played directly after it's vocal counterpart. That means, no change in the sequence for the first 4 titles. Tracks 9-11 subsequently are three vocals, followed by four dubs. Almost one hour of good vibes, freedom sounds and nice dubwise. The arrangements, playing of instruments, backing and lead vocals, everything is perfectly worked out. 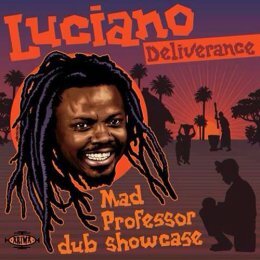 Luciano gives his best, while Mad Professor does his best to emphasize the MessenJah in Dub Showcase style. 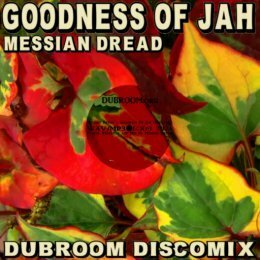 This is not a Dub style for an all-dub album, this is a Dub style that gives you meditation, gives you some extra time to skank pon di riddim. A Dub style that makes you hear new things every time you play the music. How shall we call it? What about Roots Lovers Rock Reggae, to combine the two dominant styles on Deliverance Dub Showcase? 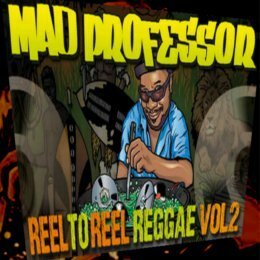 Mad Professor showing he's not just one of the Dub masters in the world, he knows how to produce music by using top musicians and how to mix Dubs from that music in fine style. 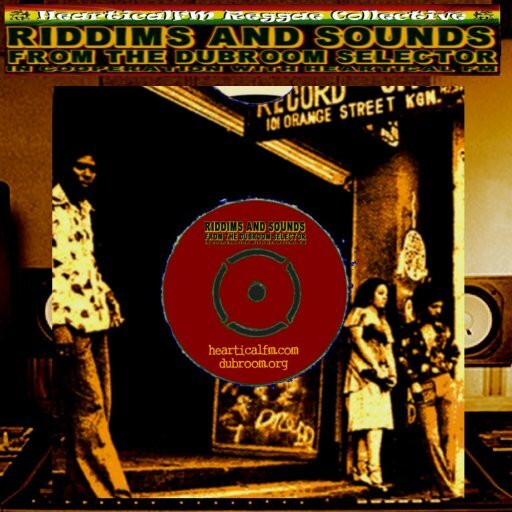 From the very first track, a crucial rendering of Dennis Brown's song that gave the title to this album as well, to the very last one ("Three Meals A Day, No Rent To Pay and No Wife To Obey, Talking Bout Detention....") which is a heavyweight Roots Steppers with equal Heavyweight Dub Mixing, this album is what it says. 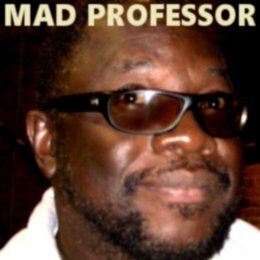 This is Mad Professor showcasing Luciano in his own special style. 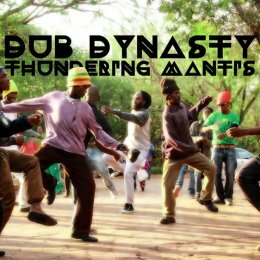 So, what was that about an extra Dub version called Sound System Dub? This is Luciano singing from the top to the last drop with Mad Professor mixing the music in Dub style. Get all tracks, or just a few. 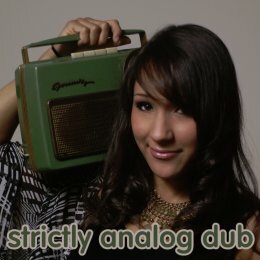 When you're into Dub, get the Dub from "Three Meals" called "One Dub A Day". The cheapest place is Emusic and no we do not get paid to say that. WWW, September 2014 - Get ready for something really, really crucial: Roots Raid's "From The Top" is an album that you just have to hear. 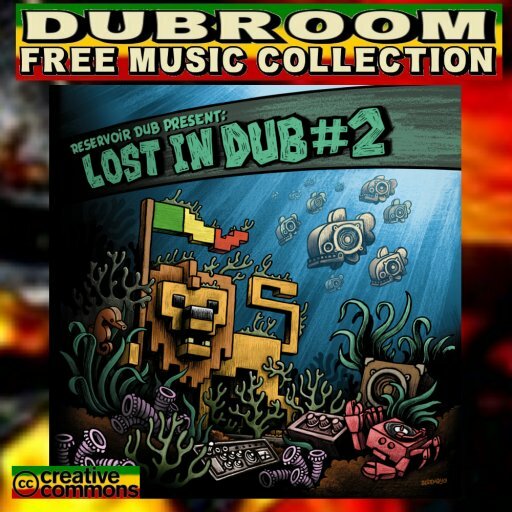 And since it's offered as a free download from the Original DUB Gathering Net Label, there is simply no excuse. Read on why. 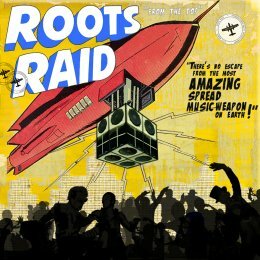 Roots Raid is a cooperation project of the bassist of the French DUB Reggae Band Ondubground and Bongo Ben. They're based in the heart of the French country and are part of the Eurodub and Roots Movement. "From The Top" is an album where the two producers showcase their art and skills, along with vocalists like Ranking Joe and Billy Berry. 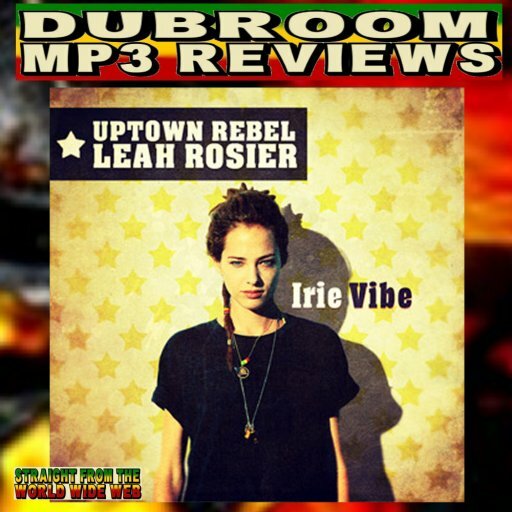 WWW, September 2014 - One vocal and two Dubs from the French Original DUB Gathering Net Label, presenting the Ire Vibe EP featuring Dutch female singer Leah Rosier riding a, well, Irie riddim by the French Dub producer Uptown Rebel. Nuff niceness going on, in this well digital and well heartical track. Bordeaux-based Uptown Rebel, whose album "Random Road" was reviewed earlier in the Dubroom shows his ability to create digital Roots with an impact once again. With Leah Rosier from Amsterdam singing about how Ireness will even land at the doorstep on enemies, at least when it is done in a musical way. Nuff niceness, no badness. WWW, September 2014 - Vocal tracks, Discomixes and of course DUB Shots. "A Ruff Guide To Ariwa" has it all and look at the title: it's not a "Ruff Guide To Mad Professor"! The well-chosen title for this compilation of sounds from the London based Studio has a few classics from "back then", but it also features some of the -outstanding- work of Joe Ariwa. Not to mention the all-star list of further appearances, that is. It should not be a surprise: over here at the Dubroom we're not ashamed to big up Ariwa wherever possible. 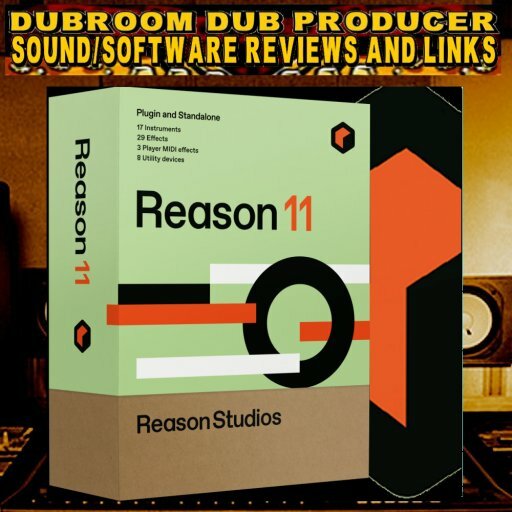 That's not just because of the original and even leading sounds and riddims, not just because of the consistency in quality with the enormous quantity. It's equally because of the importance of Ariwa for (DUB) Reggae in general. 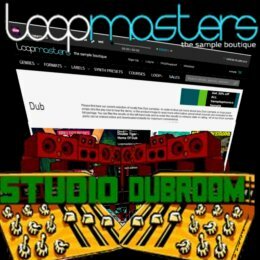 It's one of the few studio's that were founded in the late 1970's, only to continue to this year 2014 and still release all forms of Reggae, from Lovers' Rock and Roots Daughters to Heavy, heavy Dub. Throughout the decades careers were launched, revamped, extended. 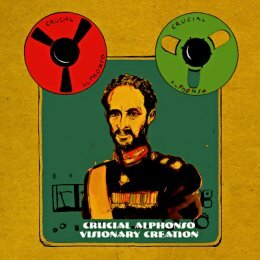 Bringing consciousness on many levels and issues, being responsible for the incorporation of DUB in many musical styles (Massive Attack, Ruts DC) and thus spreading the vibe to millions and millions. 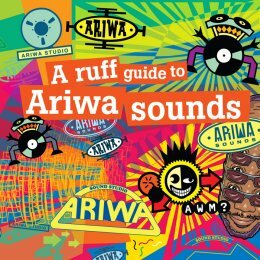 All this is captured in "A Ruff Guide To Ariwa Sounds". All this, and some more things. Like the crucial mixing skills of Joe Ariwa. Listen, support, buy. Emusic is the cheapest option and no we're no Emusic affiliate. 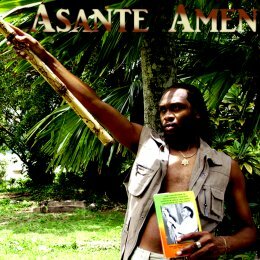 WWW, September 2014 - Riding an up-tempo One Drop rhythm, Asante Amen tells us where he gets his energy, talents and skills come from. In the same time, he gives praises to the Most High Jah in such a way that you just got to start praising the Most High yourself. 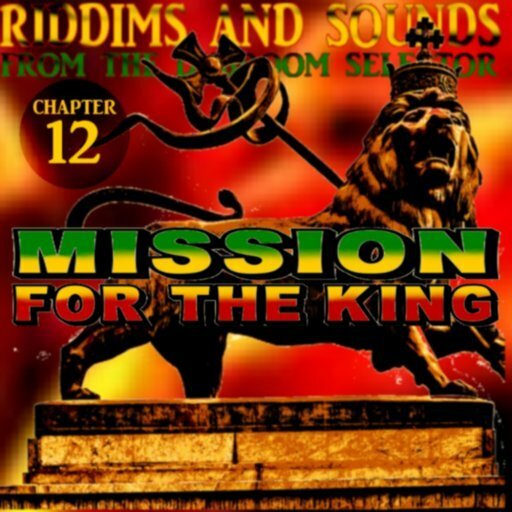 Another contemporary Roots Reggae track that will drive away the bad vibrations, that will uplift those that listen to it. Another crucial free and legal download, for you to get and be blessed. From the heart, fe sure. WWW, September 2014 - Talking about a singer, you're talking about Asante Amen. A crucial voice he has, especially when he's using it to go in all directions like a roller coaster. On top of that, he gives praises to the Most High which is of course the Source of all singing. Asante Amen, this is not the only place where you'll be reading about him. Should you be wondering about Jamaica and slackness and the way that so-called crucial combination is called in especially the MTV's of this world, wonder no more. It's not that wonderful combination and there are a lot of Jamaicans who rather see a combination of Jamaica and Righteousness. Say that, say Asante Amen. Forget about the slackness kings and queens, make way for the positive vibrations of today's Jamaican conscious singers like this brother. It looks good, especially when you consider that My Space has been bought by the good folks at Fox, known for their love for humanity and truth in general. I thought it would be nice to just revamp my account at that revamped My Space website but to my chagrin I discovered I could not log in due to the fact that I no longer had access to my old email account. Apparently, I am not the only one with this problem because My Space has this standard link that you can click when you lost access to your old myspace account. I filled in the form, and wrote the proof that I am who I am. That's pretty easy when you are Messian Dread at the Dubroom. Still it was really complicated for the person at My Space who was assigned to my case. He, she, it, did not understand what I meant so I wrote back that I would love a human reply. I got it and I got access. It took several days. When you have a fast computer running Windows 8 or something like that, my Space is nice but it's not that nice. The reasons are obvious. "Everyone" knows, My Space is a ghost town. There simply is nobody. I have zero plays. Zero. I had a page at LAST.fm but because of the nature of my recent productions I wanted to change things a bit more. After all, my new productions are definitely not just about me and I want to title my productions the way I title them. That's not possible at LAST.fm without creating a new artist, or in this case, label. I started to upload my new production and I got a notice. I had uploaded my Dennis Alcapone tracks and the system had recognized that name as being known. My account was blocked until it was reviewed by LAST.fm staff. Perhaps you think I was annoyed, but that was not the case. I thought this was a very, very good thing because it doesn't just give credit to the LAST.fm website but also to the artists and producers who upload their tunes. Of course everything was easily cleared. This was a very pleasant experience. 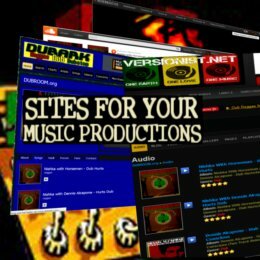 The website itself gives you the possibility to upload your music and make it available for free download. Nice thing, right? Even nicer is the fact that they let you deeplink to your uploaded MP3 files, just like I do on the music download page at my website. There's no limitation like with Sound Cloud, so there is another reason why it is a mystery to me why Sound Cloud is that popular.